Authentic Gaming’s Live Streamed Roulette tables can now be accessed by Italian players at Leo Vegas and Eurobet online casinos. 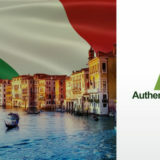 Authentic Gaming launched their first table from the Italian Saint Vincent Resort & Casino in 2015. It’s rather ironic that Italian players are only now able to access the online live streamed roulette tables. Malta: 26th September 2018 – Premium live casino supplier, Authentic Gaming, has entered the Italian market for the first time, launching with two of the largest operators in the region, LeoVegas.it and Eurobet. Games are streamed in high definition from premium land-based casinos, including: the Platinum Casino at the Radisson BLU Hotel in Bucharest, the Royal Casino in Denmark and soon the Aspers Casino Westfield Stratford City, London. Both operators will also gain access to Authentic Gaming’s latest live roulette innovation; ARENA. 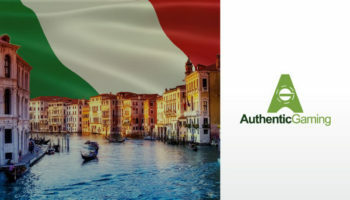 “Authentic Gaming is delighted to have expanded its geographical footprint and to launch its products to Italian players for the very first time and with such prestigious operators. Italy is the third of our regulated market entries since our launch and is a very important market for our continued growth.